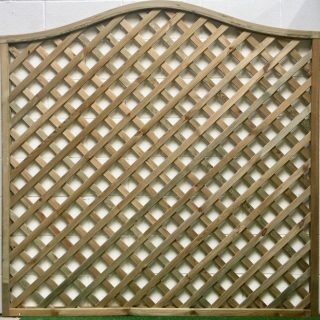 Privacy lattice trellis (1.83m wide) strong close mesh panel ideal for screening but still gives an open aspect, pressure treated to protect against rot and decay. 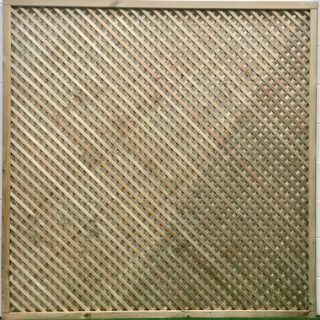 Heavy duty Decorative Diamond lattice rectangular pressure treated panels. Top quality. 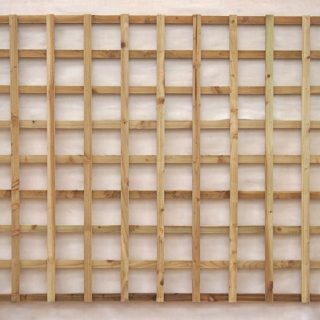 Planed timber laths fixed with staples. Morticed 45mmx45mm framing. Pressure treated (green) to protect against fungal decay and rot. 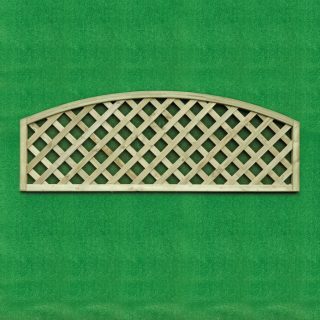 Panels are metric 1.8m wide, if you have existing posts set at 6ft (1.83m) you will need to inform us so we can provide you with infill strips to make up to size. 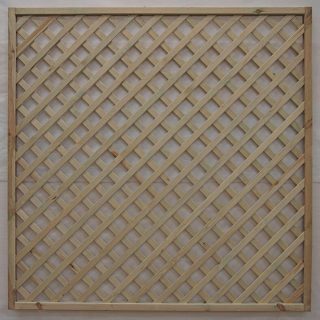 Square trellis Approx 100mm – 125mm (4″- 5″) squares, 16mm x 32mm laths pressure treated to protect against decay and rot. 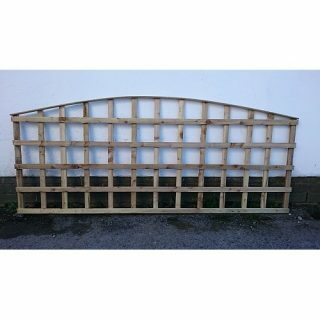 6ft (1.8m) width panels.